These tracks are situated in Whirinaki Forest Park at the south end of the Uruweras, and approximately 90kms from Rotorua. The club rode these over two days and stayed at the beautiful DOC campsite of Mangamate: http://www.doc.govt.nz/parks-and-recreation/places-to-stay/conservation-campsites-by-region/east-coast/te-urewera/mangamate/. 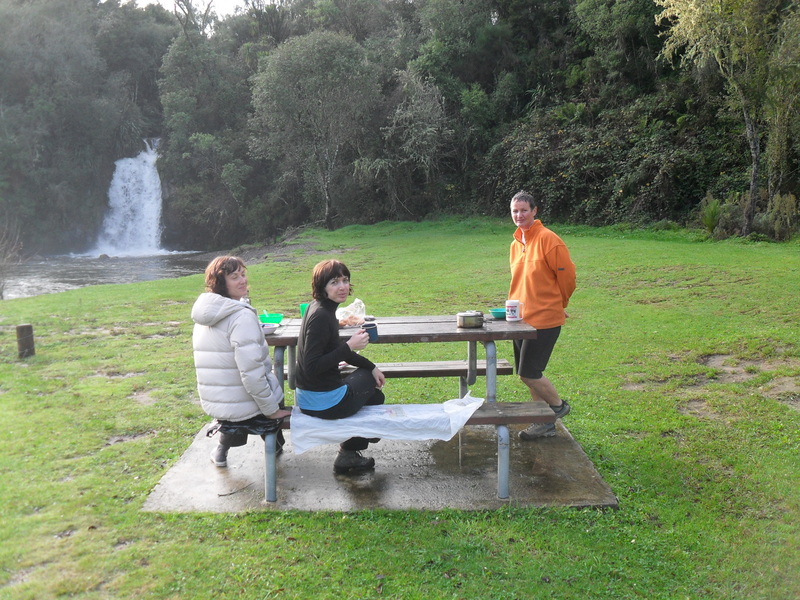 The campsite has a cooking shelter and is situated right next to a large waterfall. 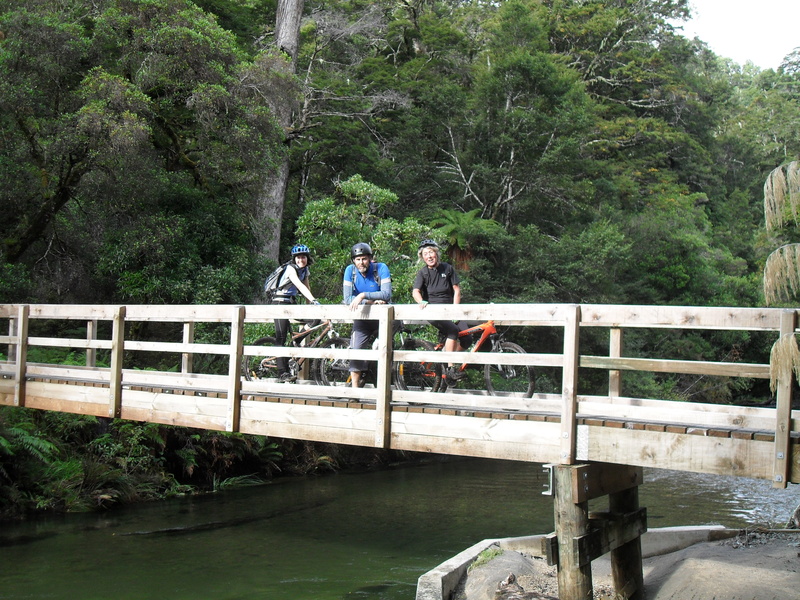 The Whirinaki trail is 16km through Podocarp forest, the last 5km of which is all super fun downhill. The ride is not particularly technical, and there are smaller loops for those who don’t want to do the whole thing. 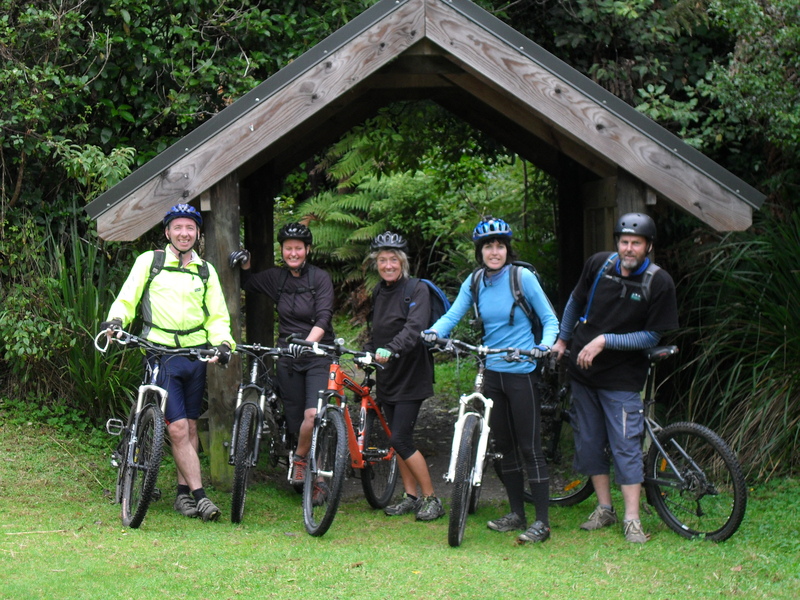 Seehttp://www.doc.govt.nz/parks-and-recreation/places-to-visit/east-coast/te-urewera/whirinaki-forest-park/activities/whirinaki-forest-mountain-bike-track/ for details and a map of the tracks. 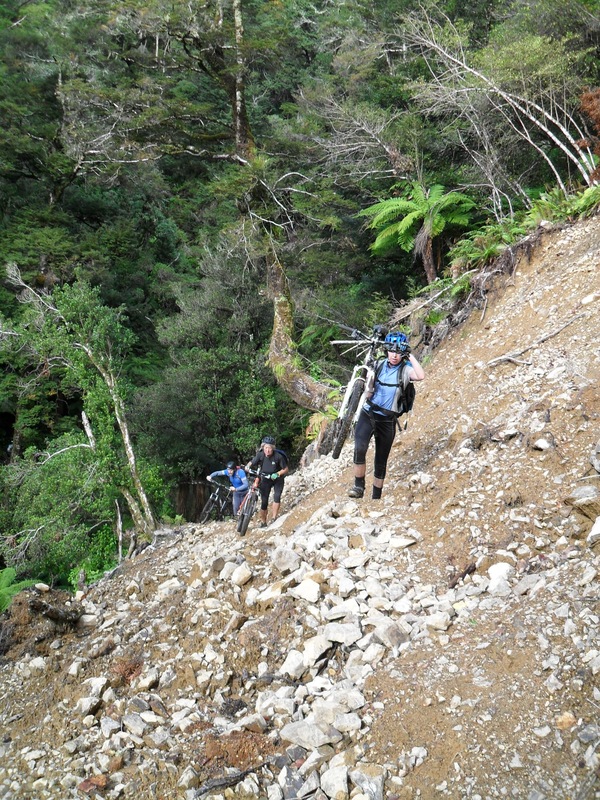 Moerangi is a much more demanding ride and you need to give yourself plenty of time to complete it. You also need to have a good level of fitness. It’s 36km with a 3.5 hour ride time, but we had two injuries (one of which was serious) and several trees across the track which took time for the whole group to negotiate. 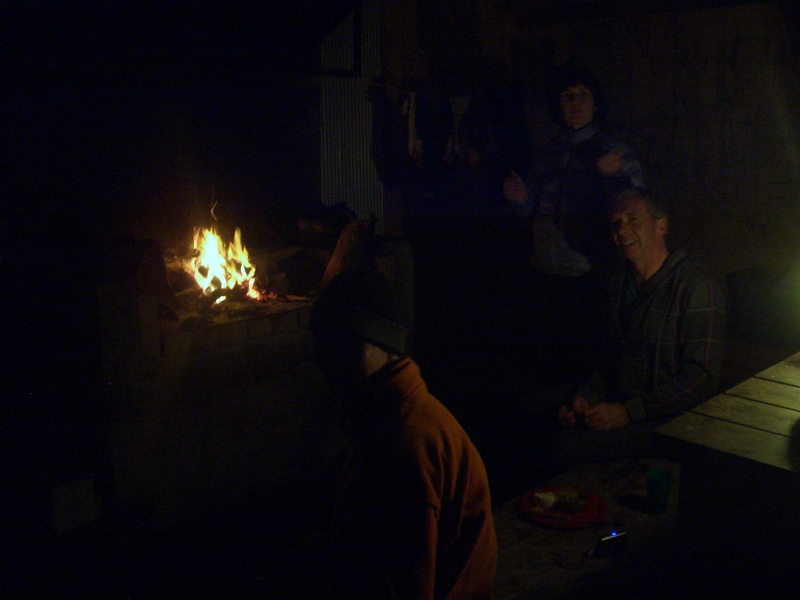 In the end, with several pit stops, it took us 7 hours. If you are riding the track in winter, it’s advisable to book the early shuttle so that you can make the most of the limited daylight hours. A shuttle service is available through www.jailhousefarmstay.co.nz/shuttles/ . The scenery is absolutely spectacular, where you ride through ancient and pristine forest. However, I was disappointed that for a purpose built mtb track, there were a number of long, very steep sections that were impossible to ride but for the super strong. It did get a bit gratuitous in places. What made up for it was the final 10km, the majority of which is downhill, and a quick, fun descent. I did find it hard to get comprehensive information on the ride, so be prepared for a long, sometimes challenging ride, bring your first aid and tool kit, and take the time to enjoy the scenery! Raglan MTb Club. Allan, that is tragic! The downhill is one of the very best bits of this ride. Sorry to hear it’s in such a bad state of repair. When the club did it about four years ago we have three large trees come down and block the track. Made for a long ride trying to traverse them all.